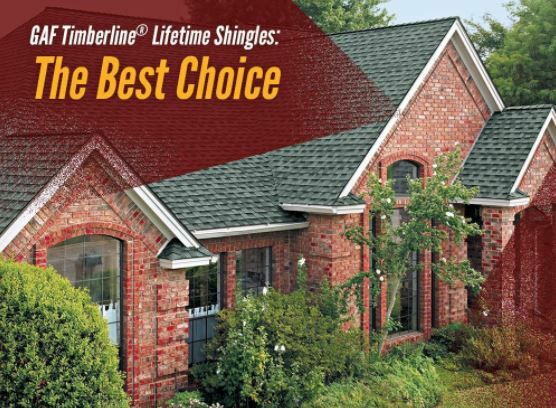 GAF Timberline® Lifetime Shingles: The Best Choice - Eldridge Roofing & Restoration, Inc. When it comes to roofing materials, you should never settle for subpar products. Investing in quality materials pays dividends down the road. With so many high-quality roofing products available these days, there’s no reason not to have total weather protection all year round. One exceptional product you should consider is GAF’s Timberline® Lifetime Shingles. The Timberline Lifetime Shingles from GAF don’t only look beautiful, they perform exceptionally well too. These practical shingles come complete with Advanced Protection® Shingle Technology to meet the stringent demands of even the most discriminating homeowner. The result: excellent protection for your home through the changing seasons. From the Timberline Ultra HD® that gives your roof an ultra-dimensional wood-shake look, to the Timberline® American Harvest® roofing shingles that can improve your home’s curb appeal and even boost its resale value, the Timberline Lifetime Shingles from GAF provide unmatched aesthetic appeal. GAF understands that the roof is your home’s first line of defense against the elements. Being your most valuable asset, your home deserves no less than total weather protection year in and year out. That’s why GAF’s Timberline Shingles now include a lifetime limited warranty. Should issues arise, GAF has you covered. Energy efficiency is one of the foremost concerns of the smart homeowner. With that in mind, GAF presents the Timberline Cool Series. This roofing option provides exceptional sunlight reflection, thereby effectively reducing attic heat build-up and midday heat gain, resulting in energy savings. Why work with any other roofing company when you can finish your project with Eldridge Roofing and Restoration? As a GAF Master Elite® installer with a BBB accreditation, we have what it takes to deliver exceptional workmanship. We serve multiple areas in TX, including Conroe, Katy and Houston. Call us now at (281) 816-6006 to get a free quote.